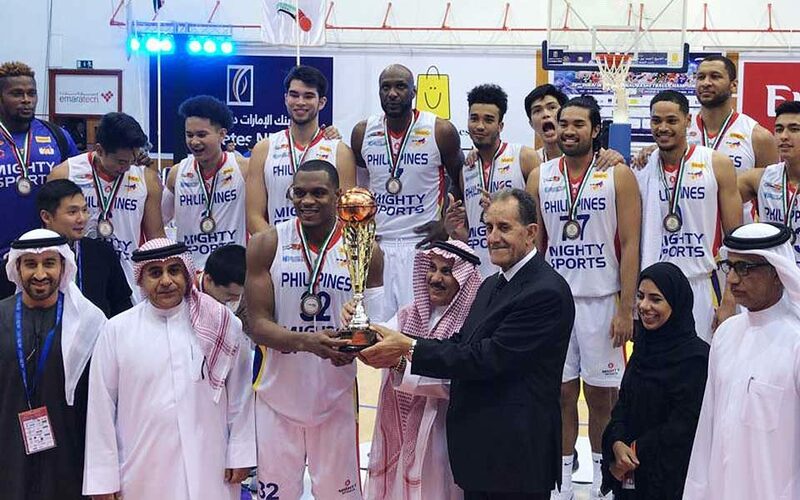 MANILA—Mighty Sports capped its stint in the Dubai International Basketball Championship on a high note after mauling Homenetmen, 92-76, in the battle for third at the Shabab Al-Ahli Club in Dubai on Saturday night. Jett Manuel, who only had six points all tournament long prior to the bronze medal game, scorched for eight points in just the first quarter as he helped Mighty Sports take a 23-21 lead at the end of the period. Santi Santillan then went to work in the second quarter, scoring six points to bring the lead up to eight. Jerar Hadidan kept Homenetmen at striking distance, but a buzzer-beating triple from Juan Gomez De Liaño kept Mighty Sports' lead at eight, 42-34, entering halftime. Not helping Homenetmen's cause was the technical fouls slapped to Elias Rustom and the entire coaching staff, leading to free throws from Lamar Odom that sparked his own great run in the game. “I’m very satisfied with the result because we’re going home with a medal,” said co-owner Alex Wongchuking. "This third place finish is already a big accomplishment," added brother Ceasar, the other co-owner of the club.